It’s no surprise that Diageo found great success with their initial Orphan Barrel releases, Barterhouse 20 Year Old and Old Blowhard 26 Year Old Bourbon. 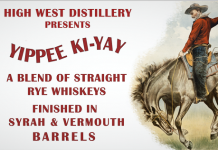 Whiskey fans snatched up the initial release with the kind of frenzy that we typically see reserved for Pappy Van Winkle and the Buffalo Trace Antique Collection. After running our review, we received scores of frenzied emails and calls from folks desperate to try to find these releases, especially Old Blowhard. 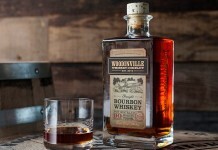 The truth is, fans of American Whiskey seem to be prepared to spend whatever it takes to acquire older whiskeys. This chase for “old” seems to be born out of the Scotch Whisky world, where age statements are commonplace. The problem, though, is American Whiskey and Scotch Whisky are completely different animals. Most American whiskeys have a majority of corn in their mashbill, while most Scotch whiskies are comprised almost entirely of malted barley (except, of course, blends which also use grain whiskey). American Whiskey is aged in newly charred American white oak barrels and is often aged in a climate with fairly cold winters and hot summers, while Scotch whisky gets aged in ex-bourbon barrels in a climate with much milder swings in temperatures. The combination of corn, new oak, and wild temperature swings results in American whiskey that matures much earlier than its Scottish single malt cousin. Most of the great American whiskey distillers like Jimmy Russell and Bill Samuels Jr. will tell you that most American whiskeys hit their sweet spot between 6 and 9 years. This is a vastly different range from Scotch whisky, whose sweet spot is typically between 10-21 years. The tough thing about aging American whiskey for a long time is that after about 9-10 years, the balance in the whiskey is lost and the new American oak barrel begins to take over. Ironically, American whiskey fans seem to have been developing an ever increasing taste for over-oaked whiskeys, and so we’ve seen products like Jim Beam’s Devil’s Cut that emphasize the barrel’s contribution to the mix over the flavors and balance of the base whiskey. 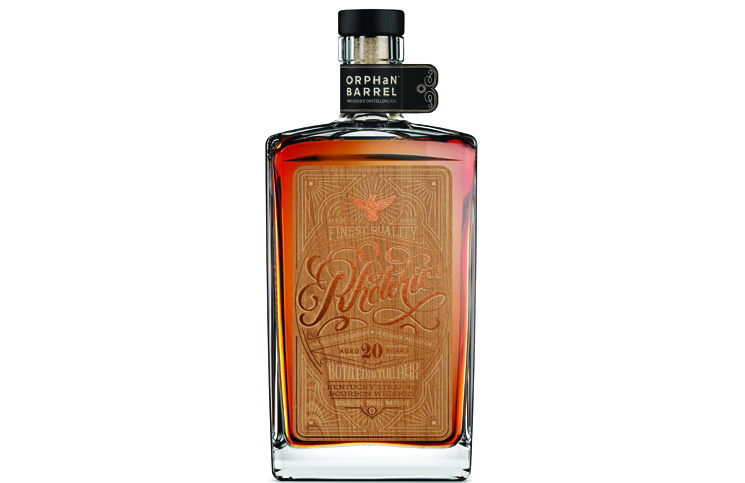 Orphan Barrel Rhetoric 20 Year Old Kentucky Straight Bourbon Whiskey (45% ABV / 90 Proof, $85) – as with the previous Orphan Barrel releases, the lineage of this whiskey is slightly complicated. While Rhetoric was bottled down the street from Diageo’s George A. Dickel & Co. distillery in Tullahoma, Tennessee, it spent some time at the old Stitzel-Weller Warehouses in Louisville, Kentucky. The whiskey itself was distilled in both the new and old Bernheim distilleries in Kentucky. There was some confusion around the initial releases of Orphan Barrel as Diageo had played up the “discovery” of these barrels at Stizel-Weller, but later clarified that, indeed, these whiskeys are sourced from Bernheim distilled whiskey. The first thing out of the glass from Orphan Barrel Rhetoric is oak: dusty cigar box, leather furniture, and weathered oak. Although the nose is solidly oak, it’s not just an oak bomb. Underneath the oak is cinnamon, caramel, baked apple, and a slight nuttiness. The oak from the nose is immediately on the palate with an opening that’s strong and oaky, but again not singular. Along with the oak, we get caramel covered baked apple from the opening with cinnamon and allspice. The mouth feel for Rhetoric starts out really nice, with soft and round qualities that help counterbalance the spicy oak. By the time we get to the midpalate, the oak spice begins to really take over and the fragile balance established in the opening collapses. The midpalate is strong oak, clove, black pepper, and just the slightest undercurrent of caramel. It’s here where we get a flash of heat and some burning in the gums – not a good sign. The mouth feel that we liked at the entry now has gravitated towards the unpleasant. The finish for Orphan Barrel Rhetoric is medium length and slightly spicy. The oak from the midpalate fades out leaving the black pepper and clove spice with a little heat. The finish for Rhetoric is slightly dry, but not overly so. Compared head to head with Orphan Barrel’s previous 20 year old release, Barterhouse, it’s clear why Orphan Barrel held Rhetoric back. While Rhetoric adds a nice apple note to the mix and has a slightly greater dimensionality than Barterhouse, it’s also much edgier and less integrated. 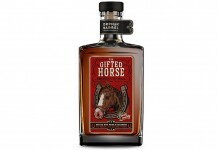 Responding to the demand in the marketplace, Diageo has boosted the price for Rhetoric to $85, a $15 price increase over Barterhouse, which was also released at 20 years (an a fractionally higher proof). Of the two 20 year old Orphan Barrel releases, Barterhouse would be our preference. Both of these whiskeys carry price tags high enough that we question the return on investment for chasing old American whiskeys. For $85 there are some pretty amazing Scotch whiskies on the market with balance, complexity, and finesse that just isn’t there in these Orphan Barrel releases. The big question you need to ask yourself is, are you buying these releases because you enjoy big oak or is it just a keeping-up-with-the-joneses chase for old American Whiskey? If it’s the former, there are a number of great options out there that are big and oaky and priced far less than $85. If it’s the latter, Orphan Barrel has done a good job of creating a bottle of whiskey that’ll look a lot better on your shelf than it tastes in the glass.